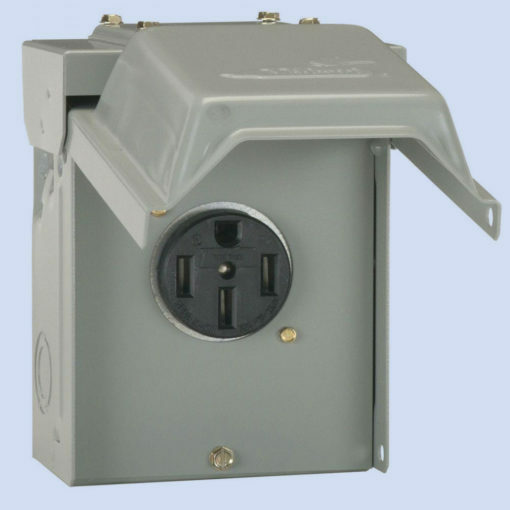 The U054 is a 50 amp Power Outlet by Midwest that has a 50 amp receptacle only, no breaker. 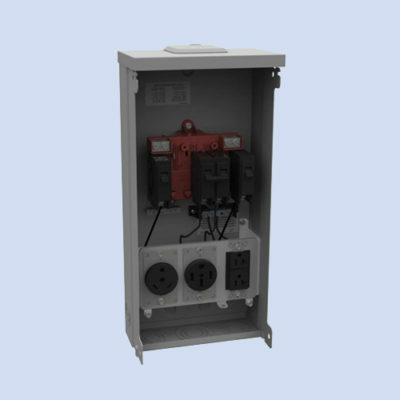 It is 240 volt and is NEMA 3R rated for outdoor use. It has a stay-open door and can be locked. The U054 is a 50 amp Power Outlet by Midwest that has a 50 amp receptacle only, no breaker. 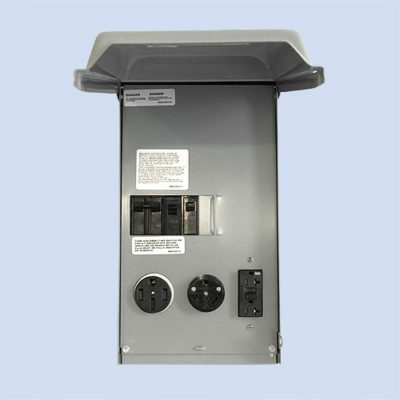 It is 240 volt and is NEMA 3R rated for outdoor use. 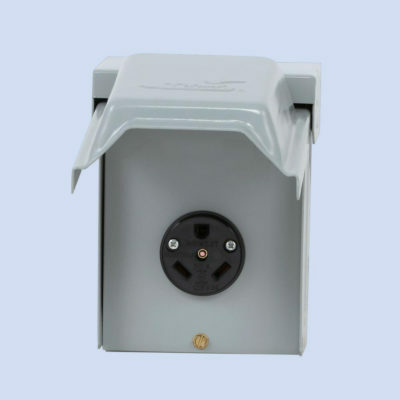 It has a stay-open door and can be locked with a security tag.